Notice of name change: This workgroup has changed its name (formerly the "3DGeo Hydrologic Landforms and Hydrography Workgroup") to reflect its expansion of scope to include geography, hydrology, and soils. 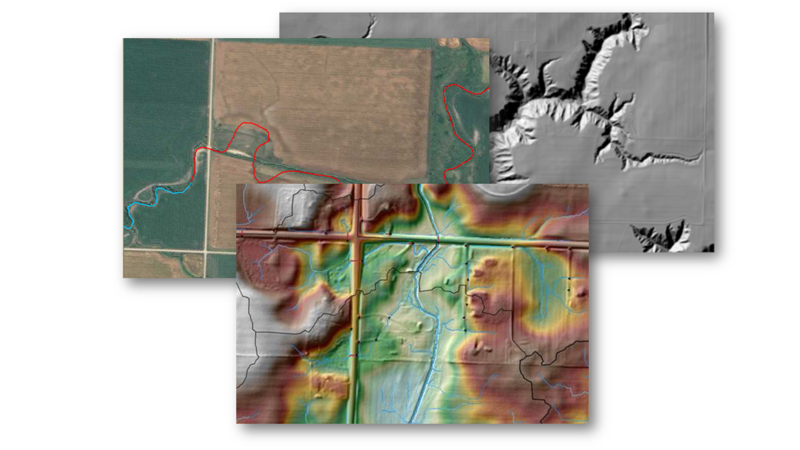 Mission: The Hydrogeomorphology Workgroup exists to promote the consistent development of Minnesota's hydrography data and to enable data exchange through coordination, cooperation and standards development. Click on a date to view the minutes for that meeting. NOAA’s Data Access Viewer: The Data Access Viewer allows a user to search for and download elevation, imagery, and land cover data for the coastal U.S. and its territories. NOAA’s Lake Level Viewer: The data and maps in this tool illustrate the scale of potential flooding or land exposure at a given water level, not the exact location. 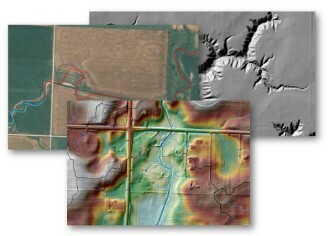 USACE Dredge Survey and Map Data: Source for data acquired by the U.S. Army Corps of Engineers including boundary, topographic, hydrographic, terrestrial LiDAR, and multispectral and hyperspectral aerial imagery collection as well as airborne topographic and bathymetric LiDAR acquisition. MN DNR Basins and Watersheds: A standardized set of watersheds was developed by the DNR in 1979. This Watershed Mapping Project delineated 81 Major Watersheds covering the state and around 5600 Minor Watersheds that comprised these Major Watersheds.